I didn’t mention in my previous post that my Etherwave was missing a part when I bought it. It wasn’t an essential, large, or expensive part – it was a compression nut that should have held the pitch antenna in place. Gravity does a fair job though, and as long as I wasn’t planning on playing on a moving flatbed things were going to be just fine. But I called my local dealer to ask if they had a replacement part anyway. They didn’t. They said, “We could order it for you, but you could just get one at your local hardware store.” So I went to my local hardware store, and my visit produced much head-scratching, but no compression nut. So I emailed Moog Music to ask if I could just order the part directly from them. I emailed them on a Sunday. They emailed me back a few minutes after ten a.m. on the following day, and after confirming which part I was missing, assured me that they had it literally in hand and were dropping it in the mail for me. An envelope appeared in my mailbox this week, containing the missing part, and a spare. No charge. Not even postage. I have had pretty much boundless admiration for the late Bob Moog and the instruments that bear his name for as long as I can remember. And to find out that the company that continues to carry his name is this decent and helpful to someone who bought one of their least expensive products second hand has really just made my week. Marketers tend to go on ad nauseam about how important word of mouth is and what kind of social marketing strategy or viral video or what-have-you will get customers talking about their clients’ products. 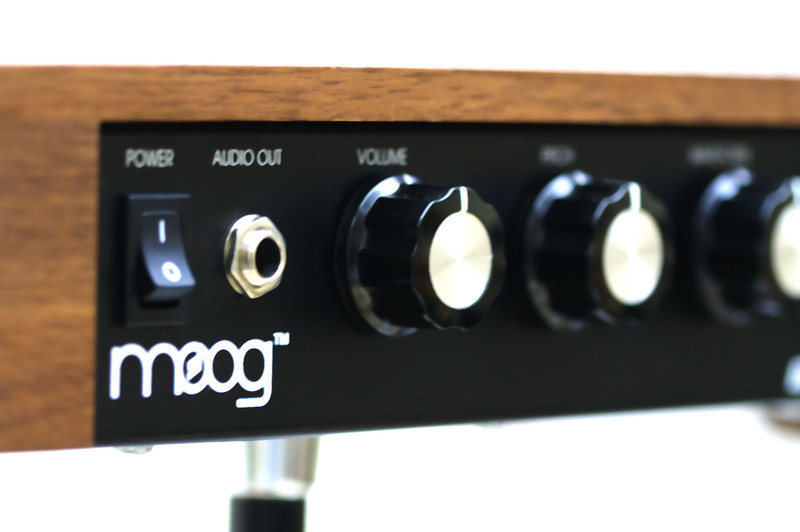 But Moog Music’s practice of making quality gear that they stand behind, and being just plain nice folks, is a great example to follow.